Deep-sea skates lay their eggs in the vicinity of hydrothermal vents to accelerate hatching, a surprising new study reveals. This is the first time that biologists have recorded such a behavior in marine animals. A ‘black smoker’ (left), the hottest type of vent. Skate egg cases collected in the area (right). Credit: Ocean Exploration Trust. The first time scientists suspected something like this was happening was in 2015 when they were surveying the seafloor northwest of the Galapagos Islands. The team, which was comprised of researchers at the University of Rhode Island and the Charles Darwin Research Station, was exploring the underwater mountains around the Galapagos when their remotely-operated submersible caught sight of something peculiar. 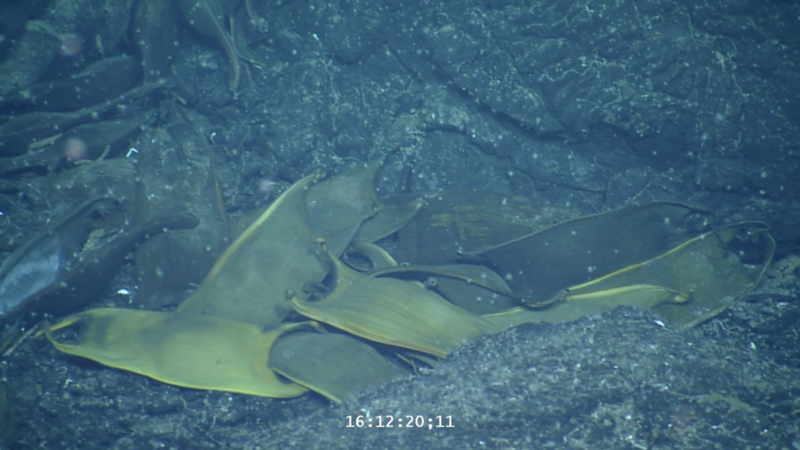 Large numbers of egg cases of deep-sea skate, which are related to sharks and rays, were found littering the hot water around hydrothermal vents. Later, Phillips and colleagues analyzed the egg locations and found these coincided with known hydrothermal vent locations. A hydrothermal vent is a fissure in a planet’s surface from which geothermally heated water issues. Hydrothermal vents are commonly found near volcanically active places, areas where tectonic plates are moving apart at spreading centers, ocean basins, and hotspots. The researchers hypothesize that the eggs are intentionally placed by the skates where the water is warmer than average in order to speed up hatching. In total, 157 egg cases, each the size of an iPhone, were observed by the researchers. DNA analysis suggests these belonged to the Pacific white skate (Bathyraja spinosissima), which lives up to two thousand metres deep. Hence, not very much is known about this elusive creature. 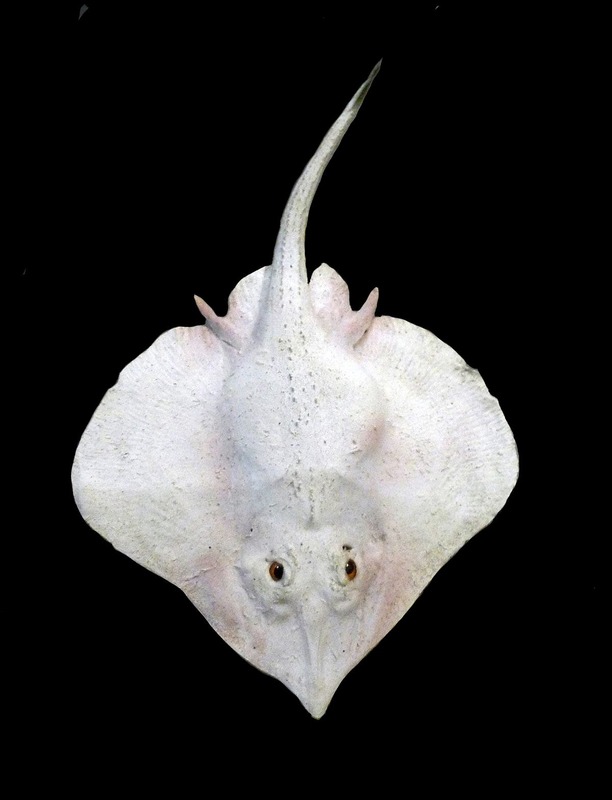 Pacific White Skate. Credit: Wikimedia Commons. 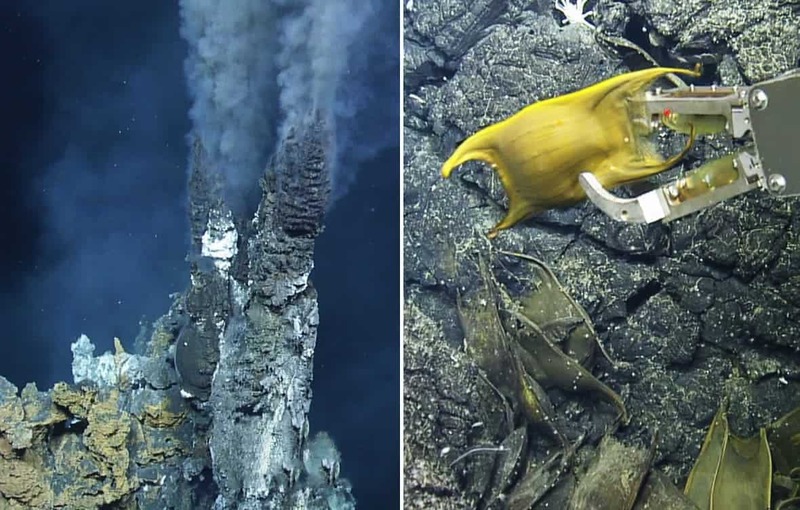 About 58 percent of the egg cases were collected from within 20 meters of a black smoker, which is the hottest kind of hydrothermal vent, and 89 percent of all egg cases discovered by the group were laid in water that was hotter than the background temperature of 2.76 degrees Centigrade. However, the eggs weren’t placed right next to the vents — temperatures there can exceed hundreds of degrees. Instead, most of the eggs were found in the lukewarm water not too far from the vents and near extinct vents, the authors wrote in Scientific Reports. More skate egg cases. Credit: Ocean Exploration Trust. Phillips says that other marine animals likely do the same. When he showed the data to shark experts, they nodded their heads and said they had anecdotal evidence of shark and ray egg cases found near hydrothermal vents. Non-marine animals take advantage of naturally warmer-than-average hot spots, as well. The Polynesian megapode (Megapodius pritchardii) nests in volcanically-heated soils, for instance. Even some dinosaurs likely did the same, judging from Cretaceous era sauropod fossils. Phillips believes that sharks, rays, skates, and possibly other animals — all of which evolved about 500 million years ago — have adapted to these unusual conditions and made the most of them.